“It is singular to come so far and to see so infinitely little” [i]. These observations serve as a reminder of a deplorable and all-to-popular story of the effects of colonialist expansion on all indigenous peoples. Unsurprisingly, the history of Brazil’s Nambikwara is not unique. “History” always engulfs these people and in so doing destroys not only sociocultural and political autonomy, but often much of the population. The name “Nambikwara” evokes such battles, some of which are quite well known. First, there are the ‘indomitable warriors’ that Rondon succeeded in pacifying, despite their initial rejection of civilization and contact. The model of making contact with wild tribes that Rondon established endures even now. Second, there is Lévi-Strauss’ field study as described in Tristes Tropiques, a work that made the Nambikwara one of the most famous tribal peoples in the world. The lasting impact of this book is clear, it continues to be cited in a variety of scientific and non-scientific books and papers. Lastly, there is the prime example of victims of so-called development forcefully promoted by the Brazilian government. Such “progress” typically manifests as road construction and the interference of bureaucratic agencies in a certain region. Many of these projects involve financing from the World Bank. David Price exposes the negative impact of such national and international organizations. He notes a near complete lack of consideration and respect for those “before the bulldozer” suffering the regional consequences of globalization (Price 1977a; 1989). Such peoples, and, in particular, the Nambikwara, were about to be pushed aside in favor of a different civilization. Rondon was a man who believed that he represented this society benevolently. He remarks often on the compassion and kindness of the Nambikwara civilization. Lévi-Strauss, by comparison, wanted to avoid discussing it, even as he treaded through the devastation caused by contact with the Nambikwara. Price (1977) denounced continued contact as being strongly detrimental to the surviving members of what was once a large group of peoples, known for their strength and heartiness. The goal of this work is to explore relevant aspects of the history and the modern sociocultural situation of three Indian peoples, the Latundê, Sabanê, and Sararé [ii] . The fact that these names are not well known demonstrate the unique fame associated with the Nambikwara. This project involves three case studies of individuals and peoples. 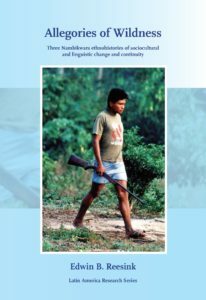 Of particular interest are specific historical narrations about contact, the individual pasts of the Indians along with their contemporary situation and their unique modes of interaction with Brazilian society. Note that all three peoples are related not only to one another, but to variety of other peoples and groups. For simplicity, I refer to all these people as members of the Nambikwara language family. A considerable amount of dialects and languages make up this language family. The plan to study Nambikwara stems from two linguistic considerations: (1) Despite the fact that a number of studies are already published (on the South Nambikwara language group in particular), this family has not been studied in all its variety and in consideration of its descriptive complexity. Preliminary work both by David Price and by members of the Summer Institute of Linguistics (SIL), a self-styled linguistic branch of a Protestant missionary organization, exists but remains incomplete (currently the SIL is working on some studies of a so-called Northern language). (2) Certain interesting phonological and morphological phenomena may be relevant materials in theoretical linguistics. The Nambikwara language family represents a relatively small group at the southernmost point of an area of impressive linguistic variety, which includes a number of small linguistic families and language isolates, in what is now the southern part of the Brazilian state of Rondônia. 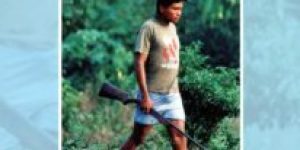 For many years the Latundê were the only, isolated, local group representing the Nambikwara in Rondônia. Today, however, there is direct contact with two isolated languages in this linguistically and culturally rich region. While the prime objective of this project largely stems from these linguistic considerations, the choice of the three groups derived from the logic of research in this discipline. Stella Telles completed much Latundê research in her PhD dissertation. Her supervisor, Prof. Leo Wetzels of the Vrije Universiteit van Amsterdam also became the coordinator of this project. Prof. Wetzels conceived of two complementary studies conducted by two other PhD candidates: one about the Sabanê language, previously reported as a separate and unique branch of the family, and the other regarding the Sararé, the most distant member of the Southern cluster, possibly representative of one of its four major dialect groups [iii] . By way of this choice, the two most extreme geographical positions of the two major groups were chosen jointly with the only existing representative of the presumed third branch of the family. The choice of particular groups within the language family consisted of linguistic and not sociocultural criteria, but it stands to reason that cultural variation bears a certain relation to linguistic variability. Language is the medium of culture and humanity and, as such, of the sociocultural order. Linguists are very worried about the lack of attention and visibility of the threat posed by social factors to the permanence of the present diversity of languages. The theme of language diversity is much less evident than that of biodiversity or even ethnodiversity. For this reason, and without transforming the project into a sociolinguistic study, the inclusion of an anthropologist in the Project expands the objective of language analysis and incorporates an exploratory study of the ethnohistory of the three peoples and some of their notions on their own culture and language in comparison to the Brazilian counterparts. In brief, this relates to the political and social Brazilian conquest which overwhelmed all these native peoples. The political system that allowed interethnic territorial encirclement and subjugation, with the dissolution of the previous sociopolitical autonomy effectively dominates all Nambikwara local groups and peoples and pushes indigenous languages towards extinction. The general aim of the present study is therefore an introduction to the ethnohistory and to some selected topics on the present sociocultural situation of these indigenous peoples. Note that the idea of ethnohistory refers here to both uses that circulate in the literature. First, it concerns the description of the history of a people from an external vantage point. Also, it relates to the people’s own way of describing and portraying their historical contingencies. Both perspectives are, of course, essential to an anthropological approach of history and of what we may subsume under the headings of change and continuity of a people’s diachronic passage through time (even if reality itself is actually only change as Lévi-Strauss, the most famous author on the Nambikwara, once wrote; Reesink 1999). Furthermore, the particular history of each people also yields some idea of the conceptualisation of the sociocultural notion of the person and the sociocultural predicates of indigenous human personhood and alterity. The Nambikwara (by which I mean a foreign conception of “one people”), possess a number of myths and stories about their origins and past events that depict their views on their own history. Ideally, such histories yield significant information on the way the Nambikwara shaped their responses to the intrusion of the outsiders. Generally, the most ‘significant others’ were various Brazilian agents and agencies. It is thus very important to gauge all types of impacts on the diverse Indian peoples. This includes examining how the diversity between them makes itself apparent and what the parallel extraneous structural constraints to which they were all subjected are. In this way, I intend to make an exploratory initial contribution to the study of one national ‘cosmology of contact’ opposed to three Indian ‘cosmologies of contact’ (see Albert and Ramos (2002), especially in Albert’s model introduction). As in all these ‘cosmologies’, the other peoples constitute ‘wild others’. Accordingly, this effort is related intrinsically to the idea of allegory in that it is an element that reveals something beyond itself and is not just what it initially seems. Literally, an allegory requests one “to say the other” (Kothe 1986: 7)[iv]. The Project, financed by the Netherlands Foundation for the Advancement of Tropical Research and the Netherlands Organisation for Scientific Research, provided for a two year post-doctoral research position at the Vrije Universiteit (September 2000 – August 2002) of which over six months were spent in Brazil. Therefore, there were definite limits to the extent of fieldwork among each people and the documentation of the results. The fieldwork was projected to be done among all three peoples (two months for each one) but its realization was hampered by a number of unforeseen practical complications [v] . On the other hand, the extension of six months of guest hospitality at the Vrije Universiteit to write this book allowing for the fact that our return to Brazil only took place in the middle of 2003 permitted an expansion of the use of documentary sources and of the literature. However, for a number of reasons the final publication of this book was very much delayed. This means that a number of references published afterwards are only incorporated in this final text in very limited way. Although these obvious limitations must be kept in mind, I hope that the reader will agree the result still is a worthwhile introduction and a relevant first step in an analysis of Nambikwara ethnohistories. In effect, the information obtained in the field is one important source for the chapters that follow, but the slowly expanding and hardly known literature on the Nambikwara constitutes an additional fund of knowledge from which I will draw heavily in order to supplement its limitations. Rondon himself wanted to be known as a scientist, a naturalist, and an ethnographer and he published on the Indian peoples along with his Commission. When Lévi-Strauss followed the route of the telegraph lines installed by his famous predecessor, he noted that these lines had not fulfilled the promise of the future that Rondon was certain his work would be shaping. Lévi-Strauss was a little recognized ethnographer, and considering the fact that he never had the chance to visit a permanent village and also did not have the opportunity to learn the language except for a very rudimentary frontier pidgin, he managed to write a more scholarly treatise on the Nambikwara. His Tristes Tropiques molded the image of the Nambikwara so strongly that the works of Price are not sufficient to correct opinions in the many quarters where the popular book was read. Price’s own thesis remained unpublished, as were the theses of a score of other Nambikwara students (Aspelin; Figueroa; Serafim; Costa, published in 2002; Fiorini, also to be published soon). Employing these writers’ articles and material from the archives of Brazil’s Indian affairs bureau, FUNAI, I provide fresh interpretations from the Nambikwara point of view. Hopefully, these efforts succeed in making history a little less dry. Having embarked on this project with these general ideas summarily outlined, the first local group to be visited was the Latundê. The reasons for this choice are purely practical and had to do with considerations relating to the access to the Indigenous Territories. Such access was extremely difficult, if not impossible, during the rainy season. Correspondingly, I embarked on this visit in the beginning of September, 2000 and I left the group less than three months later. The field research at the Latundê received the wholehearted support of the linguist Stella Telles and we passed some time together at the Latundê and Aikaná villages. The Latundê are the only Northern Nambikwara people still living in their own village in the immense region that was once populated with many peoples and groups. Rondon, the first explorer to create the fame of the Nambikwara, had already contacted all of these other peoples. In fact, Rondon chose their name. For a variety of reasons, the reader will note that names and naming are significant and constitute one of the recurring issues of this work. The Nambikwara names of people and the secrecy of personal names are the theme of Fiorini’s (2000) thesis. The publication of this study represents the first extensive modern monograph on Nambikwara culture. Due to time limitations, my research aims at a less comprehensive ethnographic objective of this culture and I will mainly discuss the relation between naming of local groups and the contemporary process of group-formation. For the Latundê I start with the bureaucratic process of the national society’s method of naming, classifying and creating the people and the peoples’ land within the surrounding framework of the nation-state. Later, I turn to the native viewpoint, although in a restricted way due to language barriers and psychological difficulties which inhibit discussing such a traumatic past with a stranger. Finally, I turn to some considerations about the future of the people and their language. In particular, the endangered status of the language plays a prominent role in the maintenance of culture and sociocultural tradition. The Sabanê were contacted at the time of Rondon’s construction of the telegraph line that penetrated the heart of North Nambikwara territory. At the time, according to this people, they had migrated from Mato Grosso and participated fully in the fabric of relationships in this vast region that encompassed an uncertain number of peoples, each with at least one village. Some part of their particular history appears in the writings of the Rondon Commission. Here the reader will gain a glimpse of the native conceptions of contact. Rondon, for instance, became a mythological hero in both the national society and among the Nambikwara peoples whom he contacted. The subsequent Sabanê history is full of adaptations, clashes, and contingencies that severely affected their possibility of continuing as an autonomous people and especially the maintenance of their language. I did some collaborative fieldwork on this topic with another linguist, Gabriel Antunes, who was working on a thesis on the Sabanê language. Antunes was also very worried about the future of this language. His census of native speakers revealed that the language is nearly dead and that the number of native speakers was less than ten (and decreasing). As usual, younger generations are generally monolingual Portuguese speakers. As a people, the Sabanê do not suffer the threat of extinction but rather the demise of their unique language, the only one of the third branch of the Nambikwara linguistic family. Here the threat of language death is pre-eminent. The recent founding of a new Sabanê village on the Roosevelt River (in Rondônia) in their own traditional lands alleviates the tensions amongst the Sabanê themselves and their immediate neighbors in the Aroeira Indigenous Territory, Mato Grosso. Sadly, however, this may be a necessary but insufficient condition for language revival and permanence. As for the last group, the Sararé is the only case where neither the language nor the people run the clear risk of extinction. This does not mean that the history of the various autonomous groups now known as Sararé (or sometimes as Katitauhlu) is less complicated than of the two previous segments of the Nambikwara group. For instance, some peoples of the region have died out. The history of the southernmost peoples of the South Nambikwara language cluster can be traced further back and also raises specific questions as to the length of the occupancy of the region of the upper Guaporé River with the Sararé River in the center. In the eighteenth century, mining operations invaded the region and, after initiating their decline, there was a perpetual war between Indian peoples and the regional society represented by the inhabitants of the first capital of Mato Grosso, the contemporary municipality of Vila Bela. This protracted war resulted in the withdrawal of the intruders and the autonomous occupancy of nearly the entire region by Sararé Nambikwara. Here one wonders whether these peoples simply reconquered their lands. As usual, historical sources are thoroughly confusing about the names of the peoples who fought the whites, be they the Cabixi, the Paresi, or both. Furthermore, usage of such names is very inconsistent. Only at the end of the nineteenth century did it become clear that Cabixi must have been the most common name for the peoples who later partially merged into the entity now known as the Sararé. It was Rondon’s decision to name all of these people as Nhambiquara. Here I discuss some problems of the mode of occupancy of the Nambikwara and their characteristic form of leadership. Some narratives of the Nambikwara do Campo partly elucidate both aspects of the relationship to the land, the character of the local group and the enormous individual and social suffering provoked by the ‘contact situation’. The war in the Sararé region itself ended only in the 1960’s. The Sararé maintained a relatively positive self-image but the population decline and subsequent very slow recovery after contact was agitated further by the invasion of many gold miners and lumber companies. Even if the recovery did take place and the population grew again ensuring language and sociocultural survival, the continuing allure of their natural resources for the most perfidious sectors of the local population, who possess their own socioeconomic mythology and interests, causes a persistent disquiet among the Sararé. Briefly, these are the peoples and their ethnohistories. The first Part of the book is called The Name because issues raised by Latundê history are a good introduction to the process of naming by others. Part II on the Sabanê is titled Fame, by virtue of the prominent role played by Rondon in real life and in the mythology of both parties when for the first time, the Nambikwara really reached national fame. Finally, the last Part is called Fate, because of the long history involved and the way the long term vicissitudes of contact shape a significant part of the destiny of the Nambikwara. The similarities and differences in the historical processes of these three representatives of the whole group demonstrate a reasonable array of possibilities for antagonistic contact between national society and the component segments of the Nambikwara. 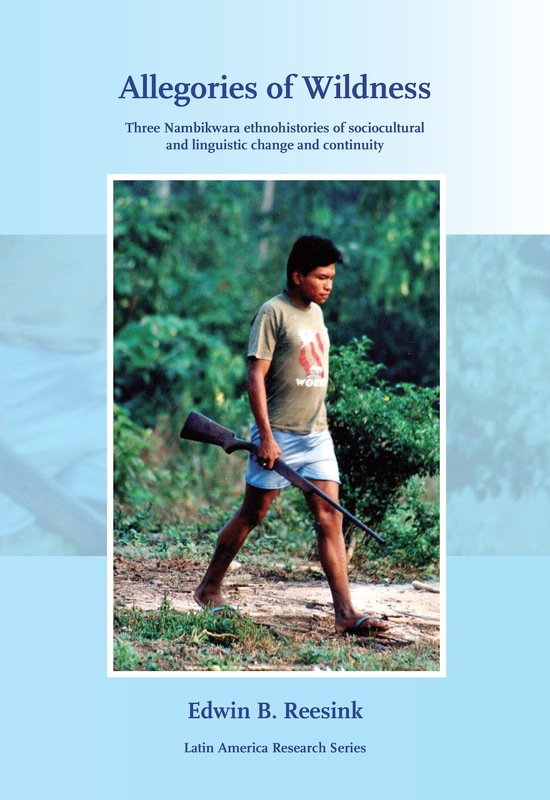 Processes of ‘deculturation,’ ‘acculturation’ and language maintenance or death of these peoples illustrate the same historical globalizing colonial ‘encounter’ imbued with the attempt to oppress and construct submission on the one side, and, on the other side, the effort to maintain autonomy, transformation, accommodation and the resilient, recurrent and courageous expression of a local sociopolitical agency. At various times and in various frameworks, the clash of perspectives and power shaped three different outcomes. One element, however, stands: in all cases, including the peoples not discussed here, the Nambikwara peoples showed an astonishing resilience and capacity. Only in the face of overwhelming odds and forces do they conform to extraneous impositions. Despite the unfortunate contemporary outcomes, their histories still are a tribute to human imaginativeness and inventiveness. If the capabilities could ever be applied to the present situation, perhaps there may be a future that heals some of the ruinous effects of history. If properly managed, the Nambikwara languages and cultures can, through their reiterated recurrent and reflexive practice, transform and persist into the future. When I took unpaid leave of the Federal University of Bahia in order to accompany my wife for her doctorate, I began to keep an eye open for other opportunities to fill in the temporary hiatus. By complete coincidence, the Nambikwara Project of Prof. Wetzels of the Vrije Universiteit van Amsterdam was being presented to the financing institution, the WOTRO (the Dutch organization for scientific research in the tropics) when we were about to leave Brazil. Prof. Adelaar of Leiden University referred the project designer and supervisor to the possibility of my participation. So it is to him that I owe my participation. By then professor Wetzels had collaborated with the anthropologist Prof. Jarich Oosten, also of Leiden University. They accepted the suggestion by Prof. Adelaar and kindly invited me to participate in the Project. As the subject matter lies within my normal research area and I found the issue extremely interesting, I jumped at the possibility. In Brazil they gave me the opportunity to make some suggestions and otherwise contribute to the definitive research design that was approved several months later. I thank them all for the opportunity and, as they are all very dedicated scientists, for the fruitful cooperation that followed. The WOTRO (part of the NWO, the general Dutch institution for the financing of scientific research) henceforth financed the post-doctorate position and the trips to the three areas. I am therefore happy to thank the WOTRO and NWO for the grant (WAG 52-897) that made this research possible. Research for this monograph was carried out during a stay at the Faculty of Humanities of the Vrije Universiteit van Amsterdam, in The Netherlands. I am very grateful to the Vrije Universiteit for the academic hospitality that was given to me during the six months I stayed there as guest. I also gratefully acknowledge the financial assistance that I received from the Vrije Universiteit Algemeen Steunfonds for preparing the camera-ready manuscript. I wish to thank Matt Coler for his assistance in giving this book its actual form as far as style and grammar is concerned and also the Van Coevorden Adriani Stichting for its financial assistance, which has allowed me to profit from Matt Coler’s expertise. Of course, while the Vrije Universiteit provided all the bureaucratic support and lodging, my most frequent contact was with the general supervisor and professor of that University, Prof. Wetzels. We also traveled together through nearly the entire Nambikwara region in July and August 2001. Considering the circumstances, it was an especially interesting and rewarding trip. Prof. Wetzels was always available to help. He leads a most promising and interesting study program of the Indigenous Amazonian languages and I thank him this unfailing support. The anthropological research also benefited from the support of Prof. Jarich Oosten to whom I am also very grateful. Due to the long term of participation, this book is tributary to the research group and tradition of the PINEB. The latter – the Research Program of the Indigenous Peoples in the Northeast of Brazil at the Federal University of Bahia – headed by Drs. Pedro Agostinho and Ma. Rosário Carvalho transformed itself from the pioneering anthropological research effort on the indigenous peoples of Bahia into an enduring anthropological enterprise that extended to the whole of the Northeast. From its birth in 1971, it has produced a substantial amount of novel work and has always sought to foster creativity and intellectual growth. Most importantly, it serves as an uncommon stimulating intellectual climate that promotes discussion and dialogue. All in all, although usually not cited as such, the present effort is tributary to the Brazilian tradition represented by the PINEB and which combines the tradition of studies of interethnic friction (initiated by Cardoso de Oliveira) as well as the tradition of ethnographies of Indian peoples (from Nimuendaju to the growing number of renowned contemporary anthropologists). Cardoso de Oliveira (1978: 189; orig. written in 1972) for example, clearly pointed out that the term “Nambikuara” covered a truly interethnic spectrum. Despite some problems that will be discussed later, the great majority of the different Nambikwara peoples where I and the members of the Project did research viewed our efforts favorably and I sincerely hope the result will be helpful to them. Listing each individual would require pages. I am especially grateful for the help of the Latundê, Sabanê and Sararé peoples and am in debt to Terezinha, Mané, Manézinho, Ivone, Tereza, Américo and Saulo. Furthermore I greatly appreciate the hospitality of the Aikaná of the Gleba in Chupinguaia. The prefect of Chupinguaia at the time, Ataíde da Silva, furnished some much-needed transport. FUNAI granted me the necessary authorization and support. Thus, I am grateful for the assistance of people like Ariovaldo dos Santos, Natal, Ana Maria Costa and the staff in Vilhena, especially Nicodemus. I particularly thank Aldair Algayer for a very instructing time. Last, but not least, I appreciate the time, however brief, I spent with the retired Marcelo Santos. Employees working for organizations like the PACA (Raquel and Sandro) as well as those from the NGO and the teaching missionaries in the Sararé and the Funasa also supported the research during key moments. OPAN and João dal Poz aided me by graciously permitting access to certain documents in Cuiabá. In The Netherlands, Hein Van der Voort and Willem Adelaar offered critical advice and support. The ambiance and team spirit of the linguist members of the Project, Cristina Borella, Gabriel Antunes and Stella Telles (always complemented by the untiring Marcos Galindo) provided intellectual stimulus. Finally, my family, Mísia and Loïc (later also including Anik), and my late mother Mw. Reesink, unfailingly supported my work. I am grateful to all these people, each of whom played a key role in this research and without whom none of this would have been possible. Thank you all. These and other quotes in this section are cited in Bell’s book retracing the travels of Stevenson in the Pacific (Bell 1995: 31; 58; respectively). [ii] Italics indicate native terms, whether Indian or, like the word Indian itself , having originated in Brazilian national society. [iii] This is suggested by David Price, the major anthropologist involved with the Nambikwara, mostly with the Nambikwara do Campo dialect group, (See Price 1978 for his overview of the linguistic relations between the diverse Nambikwara local groups). [iv]The title is also tributary to the title of the stimulating book Allegories of the Wilderness by M. Jackson (1982). In a sense, some features about the allegorical stores and personhood are based on or relate to Jackson’s work. [v] For example, among the Latundê there are no elders to recount history; among the Sabanê many of the small group of elders were not accessible for unexpected political reasons; and among the Sararé the elders do not speak Portuguese and the younger men can be enticed only with great difficulty to aid in translation.